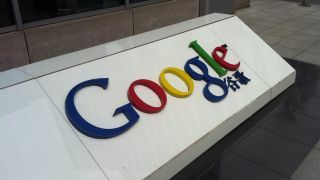 Following the reveal of its secret Chinese search product last year, Google publicly announced that it was ending Project Dragonfly but now new research has revealed that the search giant is carrying out a closed internal assessment of the project. According to The Intercept, a small group of top managers at the company are conducting a “performance review” of its controversial plan to develop a search platform for the Chinese market. Typically, Google's performance reviews are carried out in an open, per review-style process where employees grade each other's projects and management assesses the results. However, in the case of Project Dragonfly, the peer review aspect has been removed and instead has been replaced with closed group of review committees set up by executives at the firm. Two sources at Google called the move highly unusual as it is a departure from the way in which the company traditionally operates. The fact that Dragonfly review committees exist has not been disclosed to ordinary Google employees, except for the few that have been evaluated by committees as a result of their work on the project. Less than a dozen top managers at the company are reportedly said to be a part of the review which has mainly involved studying documents and technical work related to Dragonfly. Google's Chinese search product has already drawn a lot of criticism from employees who went so far as to protest Project Dragonfly and the news that the company is conducting secret performance reviews on the matter will likely be met with further criticism from its own staff as well as the media.